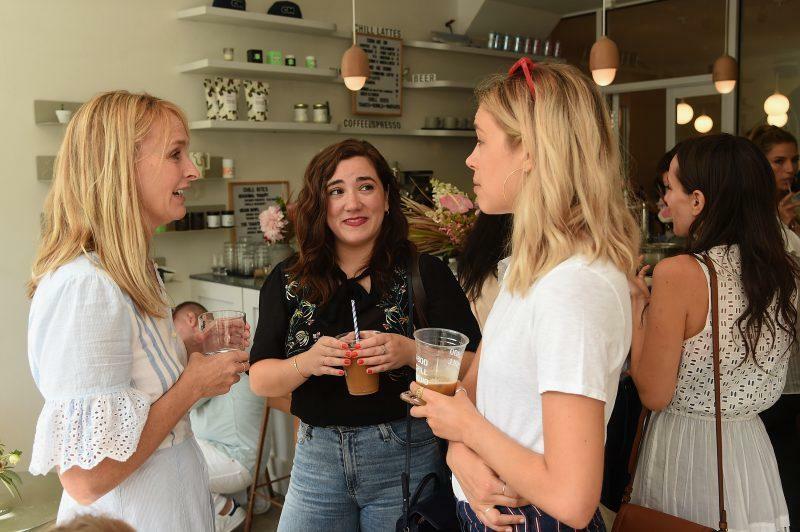 Rebecca Taylor kicked off her new intimates collaboration with Eberjey yesterday in the most chill way—a breakfast, manis, and conversation at Chillhouse, the new dual cafe/spa on the Lower East Side that everyone is raving about. 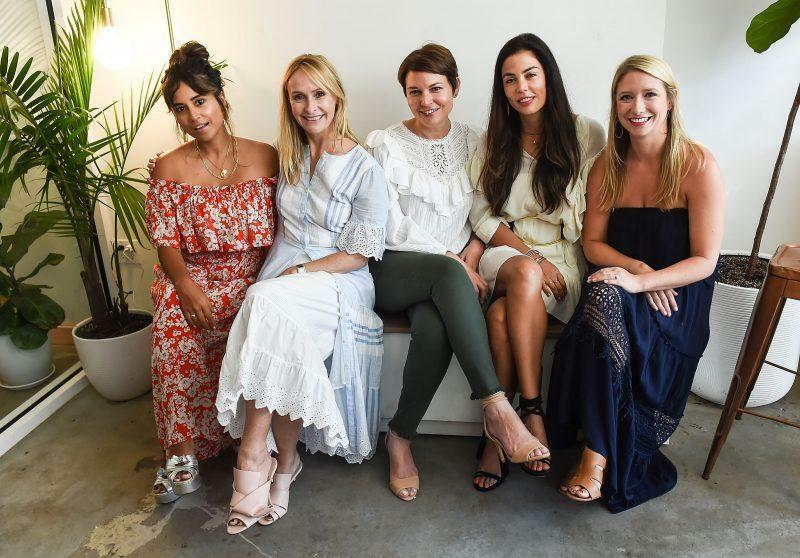 Guests filled the chic desto and were greeted with customized lattes and iced matcha while listening to a discussion on health and wellness with Taylor, Eberjey creative director Ali Mejia and president Mariela Rovito, MDNFL COO Johanna Lanus, and Chillhouse founder Cyndi Ramirez. 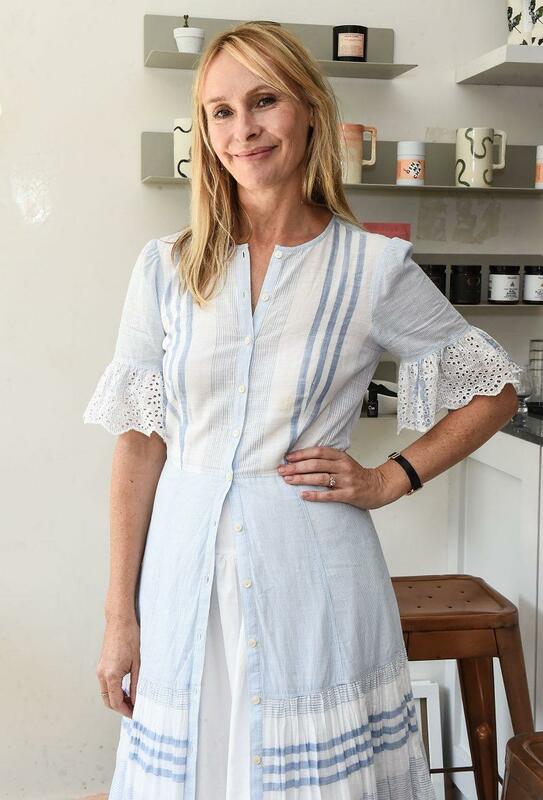 Post-convo, the group browsed the rack of silk and lace silhouettes in the Rebecca Taylor x Eberjey range, which features a delicate floral print and neutral tones in mix-and-match separates. We caught up with Taylor on the collection and what she’s been up to this summer. Rebecca, how’d this collab come about? We haven’t done a lingerie collaboration before, but I always thought that lingerie would be a natural extension of our brand because I’ve more often I’ve been inspired by what people wear under their clothes, not just what they wear on top. Like vintage Victorian and 1930s lingerie. Any crossovers between the line and what we’ll see in your next collection? There’s always femininity in most of our clothes, the lingerie included. We like to focus on wardrobe building rather than the idea of someone wearing something for a month and then getting rid of it. How good of a sleeper are you? I’ve had bad sleep habits but I now listen to podcasts at nighttime. I’ll listen to BBC and the history of the credit card…it’s just boring enough to put me to sleep! It’s been really hectic! I have three kids and this is one of them. I just picked up my one daughter from pony camp in Charlotte, [North Carolina]. We went to Barbados, which was amazing. I had never been—it was gorgeous and the people were lovely. It was rainy season, so it was a bit like the other night [in New York], but nice and sort of jungly. The kids going back to school [Laughs]. And some new rollouts for the brand. I’m also ready for socks and shoes.